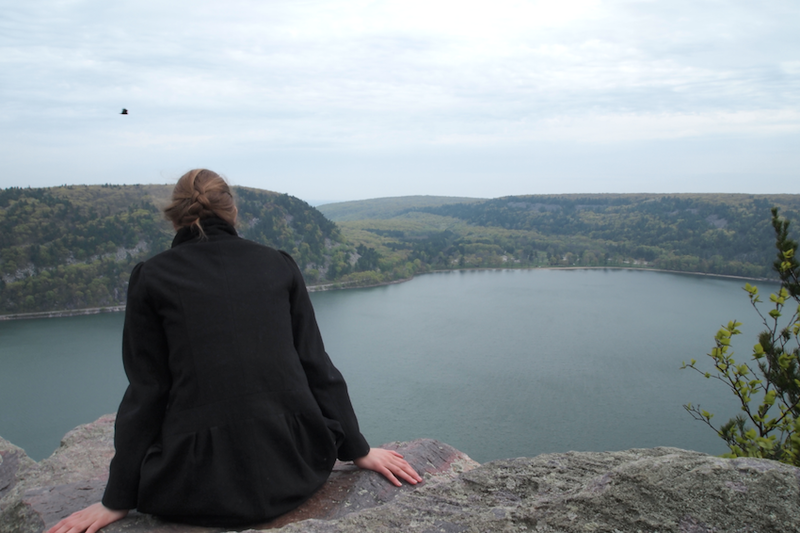 We visited one of Wisconsin’s most beautiful state parks during one of our stays in the USA : Devils Lake. If you love nature and going on hikes then you will love this amazing place. 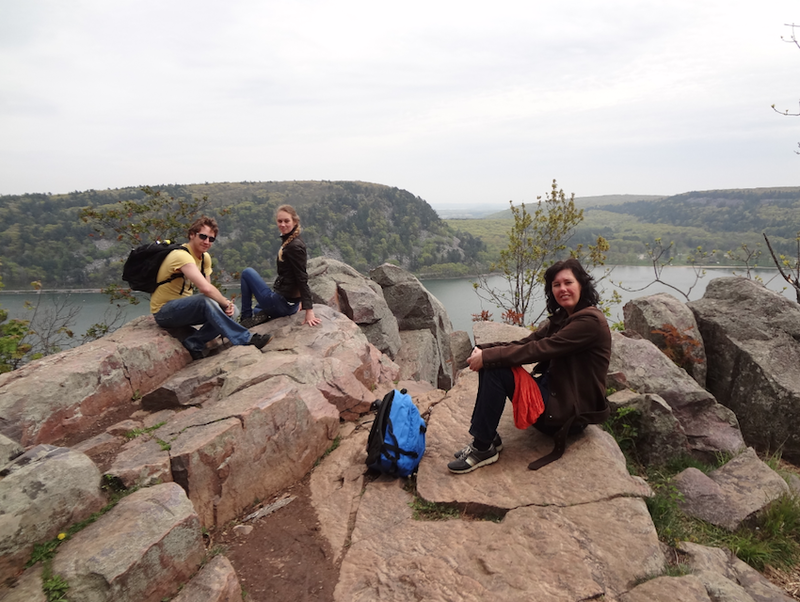 Even for an amateur hikers like my family and I, Devils Lake had enough to offer. We took one of the easier routes leading up to the top of the rock formations. 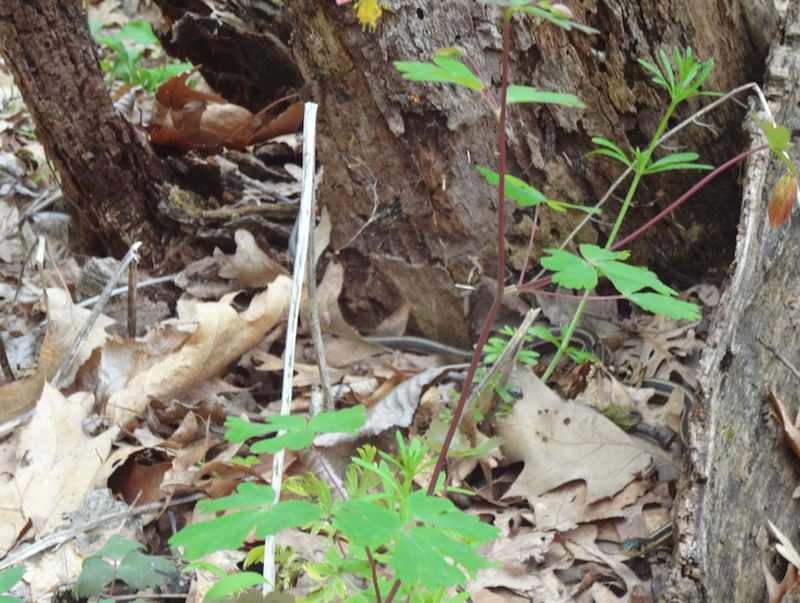 This trip brought me many ‘firsts’ one of them is seeing a snake outside in nature for the first time in my life. This may sound unbelievable for my American readers, but in The Netherlands snakes are very rare. There won’t be many pictures of my face in this blog post because I was having a severe cold the day of the trip and I wasn’t wearing make-up. “Thank god”, some of you might be thinking now haha, but don’t be happy too soon: I’ll still pop up in almost all of the pictures. As you may notice from this paragraph the school stress is getting the better of me and I’m starting to sprout nonsense. An overview of the Lake itself. The birds you see in the top left corner were I think Golden Eagles. I am not a bird expert so correct me if I’m wrong! It could have also been a hawk. Both are found in this area! 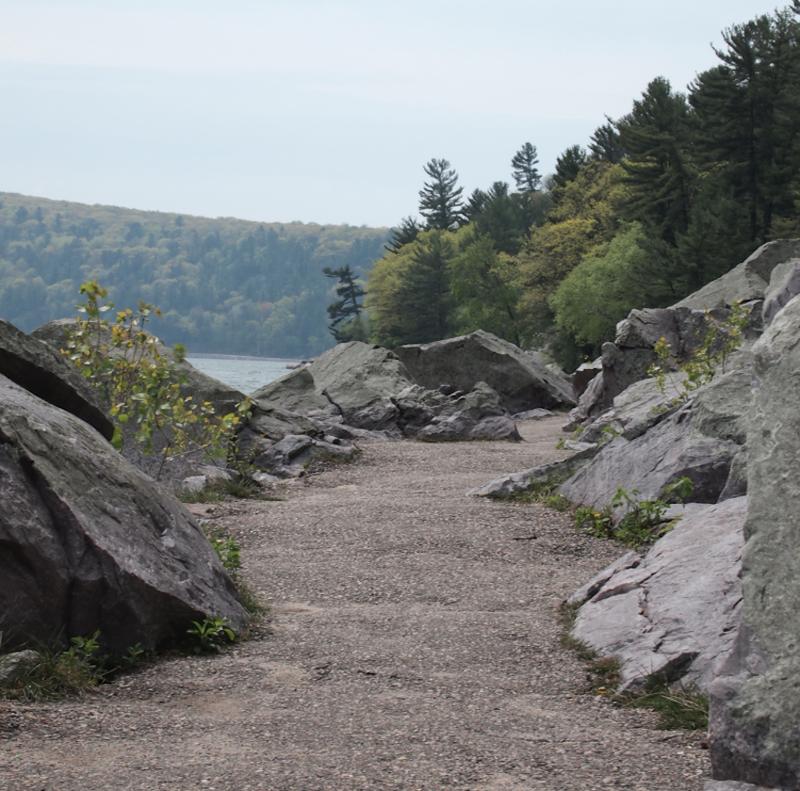 I love how the hiking trails at Devil’s Lake are fairly comfortable to walk on but still appear natural looking. Ever since I was a kid my family called me ‘little monkey’ every now and then. I got the nickname thanks to my love for climbing. You can imagine that the monkey in me went wild when I saw these piles of rocks. I climbed higher and higher, to the point that my dad started freaking out about me causing an avalanche. Both of my parents came with me on my trip to the USA. We were all overwhelmed by how big the USA is and how spread out everything is. It is so very different from The Netherlands. Can you believe how beautiful this view is? It was very steep at the end of the rocks and as you can see from the picture I was a little scared being on the edge of the rocks. The Netherlands is completely flat. You absolutely won’t find big rock formation like this in my small country. As a true Dutchie being so high above the sea level felt a bit strange. You can’t really tell from this picture but the eagles came flying so close to us. It was an amazing sight. I love this picture. We sat down on these rocks for quite a while after our hike up. If you look a bit above the middle green leaves and right at the bottom of the three you can see a black and white stripe and in the bottom right corner you can see a little head. THAT IS A SNAKE! I got really excited when I saw the snake and tried to follow it (probably not the smartest thing). My American boyfriend didn’t quite get my excitement. ,,What is so special about a snake?” Well in The Netherlands we only have one type of snake: the type that you never see. It hides in deep woods, which is something that can be rarely found in Holland. No Dutch person I know has ever encountered a snake here. 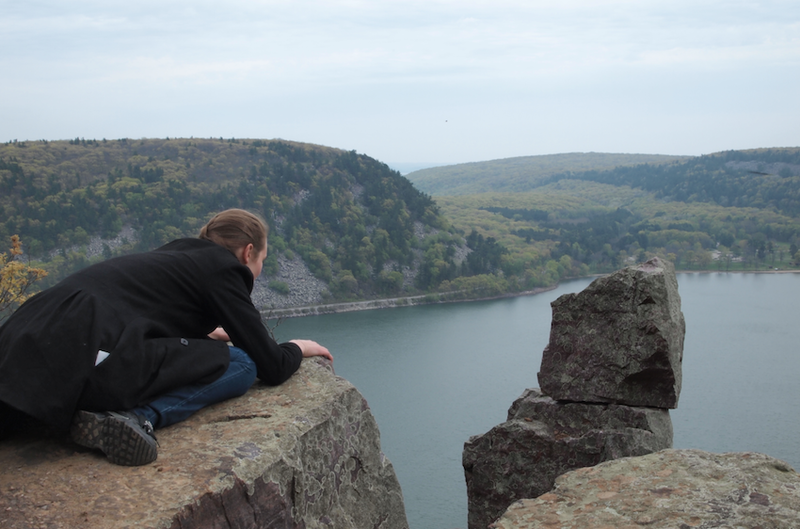 If you wonder why this lake is called Devils Lake then check out this page. 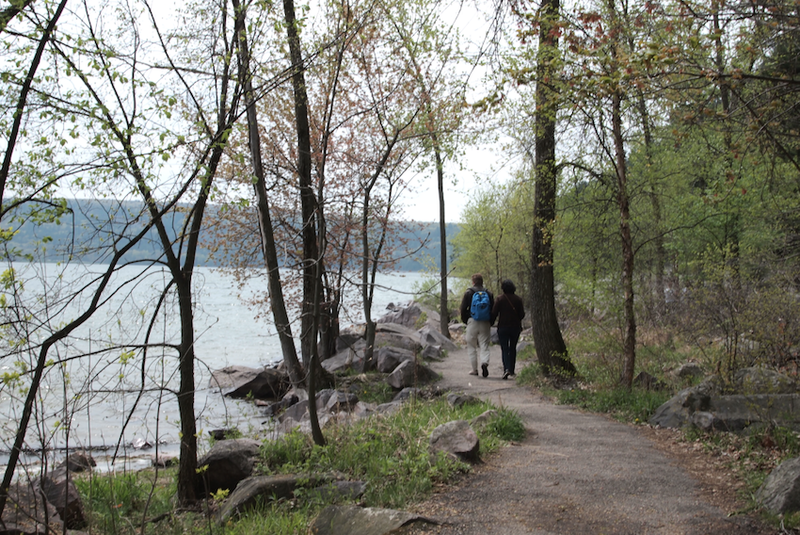 More information about this amazing state park can be found on the same website. This is not a sponsored post by the way! p.s. I usually have a video up on Wednesday, but because of a special collaboration with other bloggers and youtubers this video will be up on Sunday. The closest I’ve come to Wisconson is Michigan, which was just recently to attend a friend’s wedding. I have to say it’s such a beautiful part of the USA. Your photos are perfect! I cannot believe the snake! 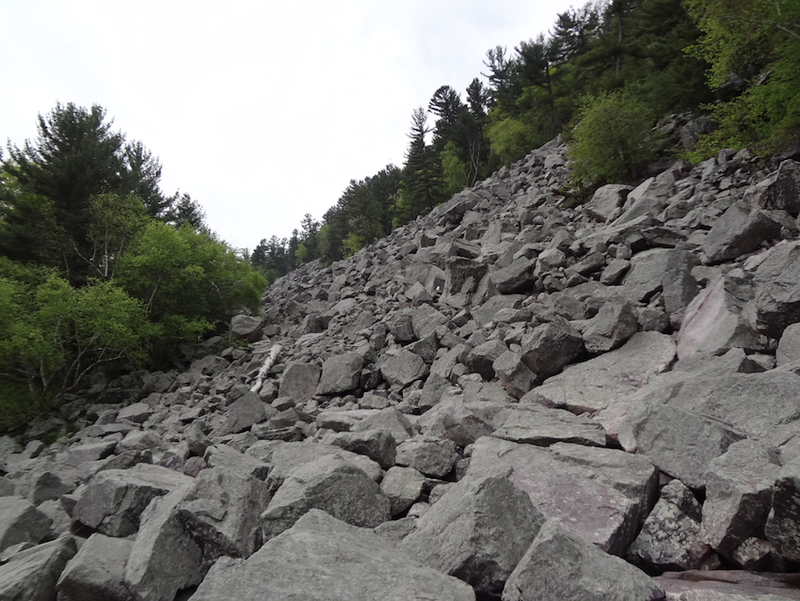 I got CHILLS when I spotted it in that last photo… Luckily I didn’t run into any of those on my small hike in Michigan, haha! !